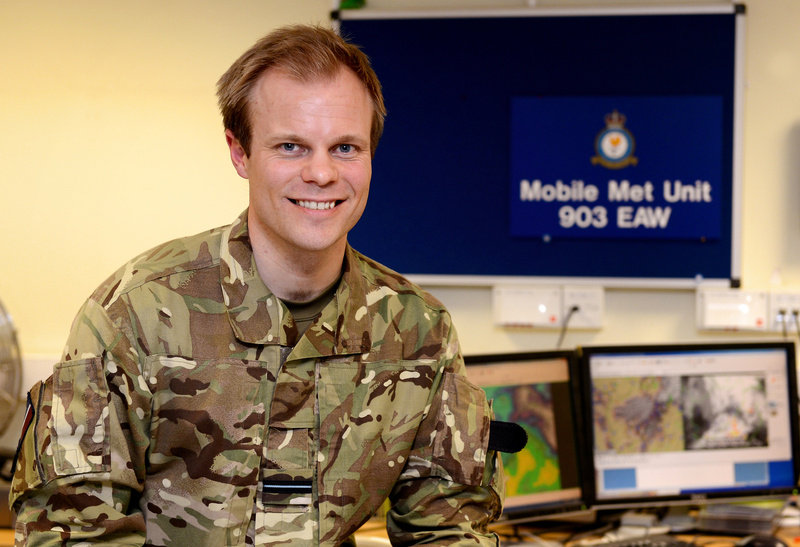 Met Office meteorologist Simon King has just returned from Afghanistan where he has been part of a crack team forecasting the weather for our Armed Forces. He has been working with the Met Office’s Mobile Met Unit (MMU) which gives advice on the potential impact of weather on armed operations. The MMU is a sponsored RAF reserve unit made up of around 50 Met Office volunteers who have undergone military as well as meteorological training. They help the UK’s Armed Forces and allies understand the impact of weather on military activities and can help keep troops safe. On his most recent tour temperatures were much cooler than the average and perhaps not quite as warm as people might think for a desert. While Simon was there temperatures were around 5/6 °C or lower at night with maximum temperatures around 16-20 °C, occasionally reaching 25 °C. As well as working in Afghanistan MMU advisors work closely with our armed forces involved in other operations and exercises in the UK and overseas. A reliable and efficient delivery system, managed by a team of dedicated MMU Engineers, ensures our advisors have access to the most up-to-date weather information, when ever and where ever they need it. This includes outputs from our high-resolution forecasting models and support from many other Met Office teams such as IT, Science, Observations, and Operations. This entry was posted in Met Office News and tagged Afghanistan, Camp Bastion, Met Office, MMU, Mobile Met Unit, weather. Bookmark the permalink.